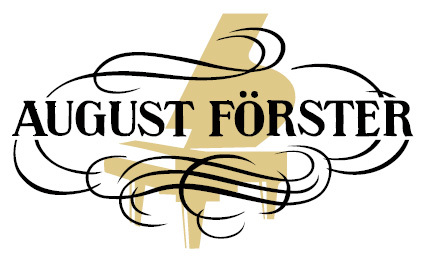 Peregrine’s Pianos are organising a two-day visit to the August Förster piano factor. This factory is one of the oldest established piano factories in the world and it thrives in a corner of Saxony steeped in rich musical traditions. Peregrine’s Pianos is the London dealer for August Förster Pianos. The trip is intended for customers interested in learning more about this company and its culture. Taking place on the 25th and 26th October 2016 and limited to twenty customers, included are flights from London’s Heathrow airport to Berlin, private coach transfers to Dresden and Löbau, and overnight accommodation in a beautiful mountain hotel. 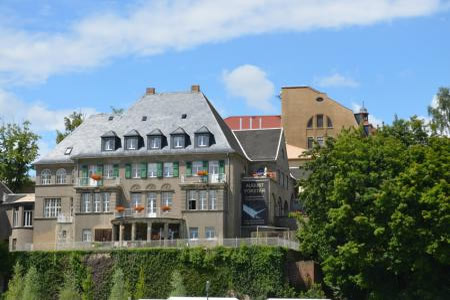 Guests will be shown around the factory and entertained at the Förster Villa (pictured below). In order to illustrate the cultural background of August Förster, the visit begins in Dresden. Lunch will be served at the Grand Café in the Cosel Palais before an afternoon recital in the Dresden Piano Salon, a hall in which both Robert and Clara Schumann performed. This is followed by a brief tour of Dresden’s Baroque buildings including the Zwinger, Augustusbrücke, Hofkirche and the famous Frauenkirche. On the second day, a visit to the town of Löbau is first on the itinerary, as it’s where the factory is situated. After lunch in the old town, a tour of the factory takes place. The factory buildings are 150 years old and piano making is all by hand. There will be an opportunity to play completed instruments and to select a piano to purchase.